This is Gwen Outen. And this is Bob Doughty with EXPLORATIONS in VOA Special English. 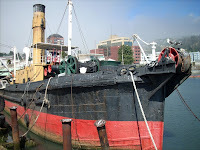 Today we tell about the San Francisco Maritime National Historical Park. This unusual national park celebrates the great harbor of San Francisco, California. It also celebrates the men and women who sailed the ships that made this harbor famous. Our story begins long ago in October, 1769. 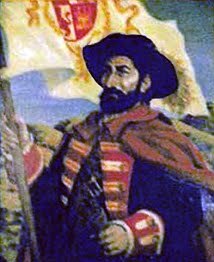 A group of Spanish explorers have come north from Mexico. They are moving slowly up the coast of the territory of California. The governor of California, Gaspar de Portola, leads the group. On the morning of November second, 1769, Ortega leads his small group of soldiers up a hill. What they see from the top of the hill makes them stop. There, below them, is a body of water. They are looking at a huge bay. Its waters seem to stretch for many kilometers to the north, south and east. The waters are very calm. De Ayala orders the San Carlos to sail carefully into the opening. A crew member reports the water in the opening is more than 120 meters deep. Slowly the little ship enters the huge natural harbor. For more than a month, de Ayala and his crew will sail their little ship around the huge bay. They make maps and study the area. They discover the bay is more than 80 kilometers long and from three to 19 kilometers wide. 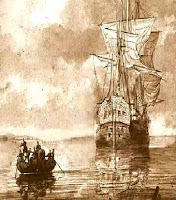 On September 18, 1775, the San Carlos leaves the great bay. 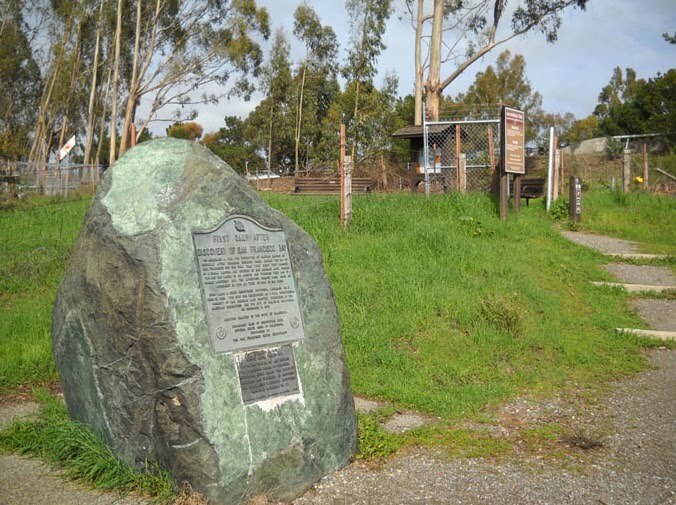 The San Carlos was the first ship to enter what would become San Francisco Bay. The park’s main visitor center and museum is only a few hundred meters from the waters of the great harbor. The main building and the surrounding area are part of the history of the city and its link with the Pacific Ocean. It is a memorial to the great ships and those who sailed them. The visitor center holds many objects linked to the past of the great harbor. There are small ships, ship equipment, and hundreds of beautiful old photographs. 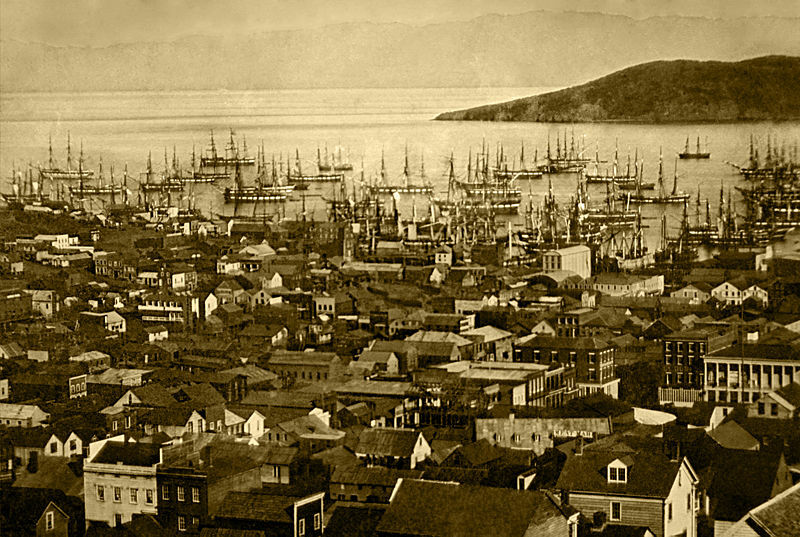 Many of the photographs from about 1849 show thousands of sailing ships surrounding the city of San Francisco. This is when gold was discovered in California. Thousands of people came looking for gold and wealth. Many visitors also stop to look at a large painting of a huge sailing ship. The painting shows the ship fighting against an angry ocean. Blue and green waters break against the side of the ship. Men high up in the ship’s masts are trying to control the sails. 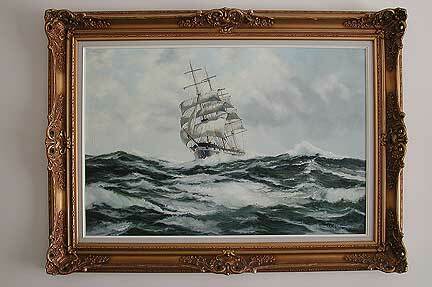 It is a painting of a ship named the "Balclutha." The ship was built in Scotland in 1886. Visitors learn that the Balclutha fought storms around the tip of South America on its first trip. It reached the harbor of San Francisco after one 140 days at sea. It carried a cargo of coal from Britain. Visitors who look at the painting can go out the front door of the visitor center and see the real Balclutha. The Balclutha is the largest of almost 100 ships and boats that are part of the Maritime National Park. People walking near Fisherman’s Wharf often do not believe their eyes when they first see the Balclutha. Almost everyone stops and looks at the huge ship. Many people take photographs. The Balclutha is more than 91 meters long. The three tall masts that once carried its sails reach 44 meters into the sky. It seems to be an object from the past that has arrived in modern San Francisco. The great ship looks almost new. 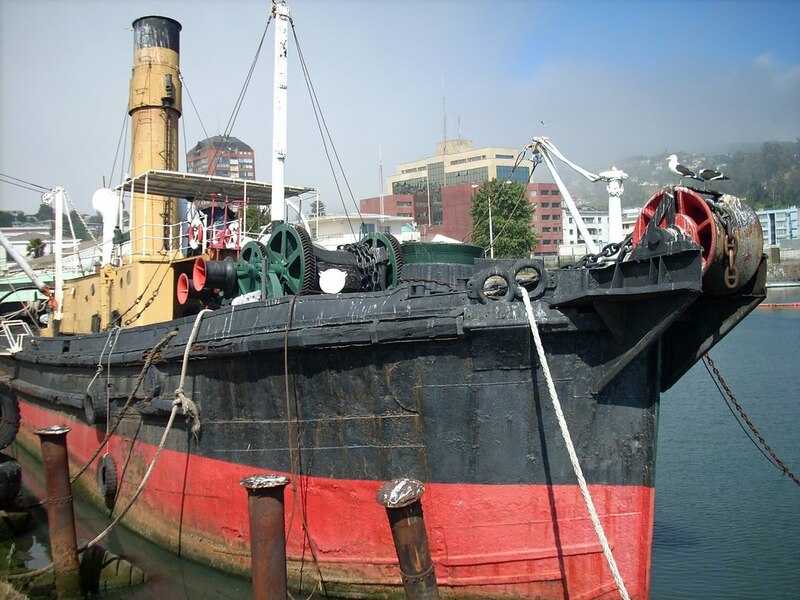 Several years ago, more than one million dollars was spent to repair and paint the Balclutha. Now, more than 200,000 people a year visit the ship. The visitors learn how the Balclutha once traveled the world carrying cargo. They can see a photograph of the first crew of the Balclutha. That crew sailed it into San Francisco harbor with a cargo of coal more than 100 years ago. The Balclutha is perhaps the most popular ship with visitors to the Maritime Park. However they can also visit several others ships. These are also very important to the history of the great harbor. But not all of these ships are open to the public. One that is open is a small steam-powered workboat that was built in 1907. This small boat is named the Hercules. The Hercules is a tugboat. Until 1924 it pulled ships around the harbor. It pulled huge amounts of wood from trees from the city of Seattle, Washington in the north all the way to Panama. And it moved cargo from place to place within San Francisco harbor. Another boat popular with visitors is the Eureka. It was built in 1890. It is the largest wooden ship still floating today. The Eureka was a ferryboat. It carried people and cars across San Francisco bay. It did this until the Golden Gate Bridge and the Oakland Bay Bridge were built. The work began in 2003. The C.A. 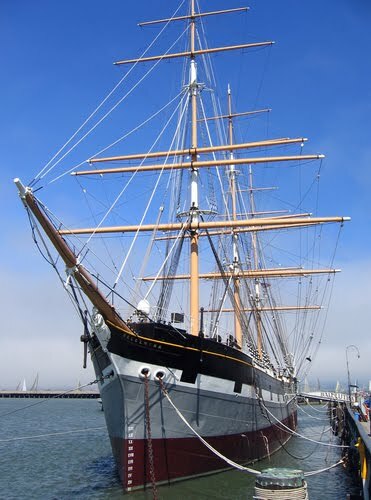 Thayer returned to its home in the San Francisco Maritime National Historical Park in April 2007. The superintendent of the park, Kate Richardson, said the project "preserved an important piece of history and culture." A much smaller sailing ship is called the Alma. Sailors called this kind of ship a scow. It usually had only two crew members and perhaps a boy who was learning how to work on a boat. The Alma was the kind of small ship used during the California Gold Rush. It delivered cargo across the great harbor and up rivers. Ships like the Alma carried almost everything -- bricks, salt, lumber, grain, food. The little ships could carry as much cargo as a large modern truck. Radio operators show visitors how the equipment was used. One of the most interesting objects in the museum is a small sailboat only large enough for one person. It is only five-and-one-half meters long. The little boat is named Mermaid. 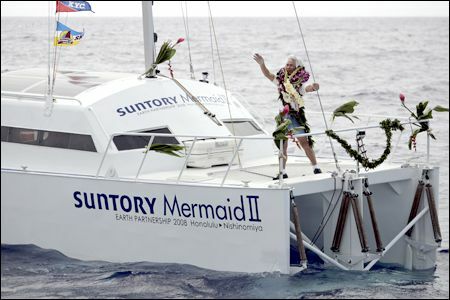 In 1962, Japanese sailor Kenichi Horie sailed the Mermaid alone across the Pacific Ocean from Japan to San Francisco. No one had ever done such a thing before. This program was written by Paul Thompson. It was produced by Mario Ritter. This is Bob Doughty. And this is Gwen Outen. Join us again next week for another EXPLORATIONS program in VOA Special English. 1. Kenichi Horie sailed the __________ from Japan to San Francisco Bay. 2. 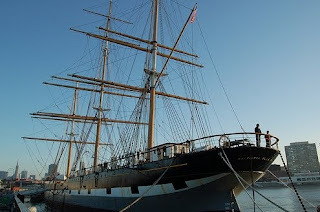 The largest and most popular ship on display at the Maritime Museum and Park is the __________ . 3. Many ships crowded San Francisco Bay during the __________ . 4. Explorers on an expedition led by _____________ were the first Europeans to see San Francisco Bay. 5. It is not true that the C. G. Thayer was __________ . 6. The Alma, used during the Gold Rush, had a crew of __________ . 7. 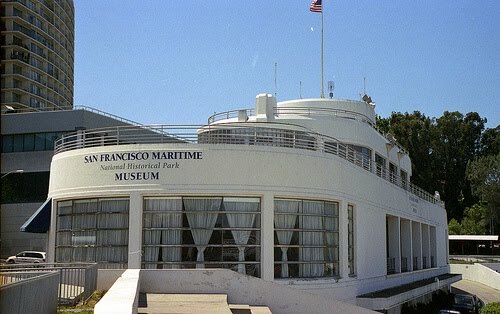 The San Francisco Maritime Museum is shaped like a __________ . 8. The first ship to sail into San Francisco Bay was the __________ . 9. Another name for this article could be " __________ ." 10. This article is mainly about __________ . marks the probable site of the dramatic discovery by Jose Francisco Ortega and his small group. 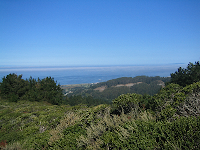 There is a very nice hike to the ridge you can take. You will also enjoy this magnificent view. This not a bad video of the bay, sea gulls, the bridge, and the Maritime Musuem. The wind sound is soothing. I hope you enjoy it.